Israel – It may be in the middle the the Negev Desert, it may be staffed by only a relative handful of American troops, it may be largely symbolic in nature, but the United States has a permanent military installation on the sovereign soil of Israel. “Due to the close cooperation between us and the American forces in the field of air defense, as well as the extensive experience accumulated by the Aerial Defense Division, it was decided that the first permanent base of the American Army would be established at the School of Air Defense,” Haimovitch said on Monday. “This is the first time that we have an American flag flying in an IDF base,” Haimovitch said following the inauguration ceremony attended by American officials, including the American Defense Attaché. 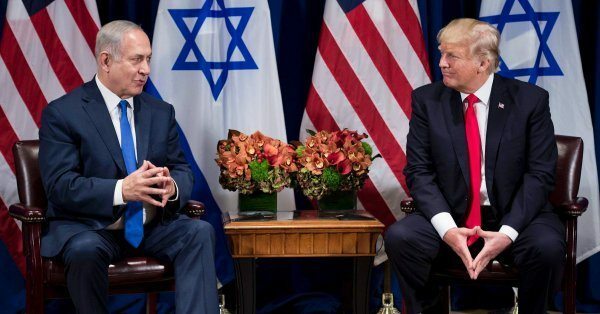 With Israel threatened by not only nuclear armed missiles from Iran, but also by bargain basement missiles from Gaza and Lebanon a constant threat, both Israel and the United States consider the American “base within a base” essential to sending a message to our shared enemies in the Middle East. Located inside the Israeli Air Force’s Mashabim Air Base, west of the towns of Dimona and Yerucham in the sparsely populated Negev, the air base was visited by a flurry of brass. Other than Brigadier General Haimovitch present at the ribbon cutting, also on hand were Colonel Liran Cohen, head of the IDF’s air defense school, and Colonel David Shank, of the US 10th Army Air & Missile Defense Command. Also at the inauguration was Lieutenant General Richard Clark, Commanding Officer of the US 3rd Air Force, and Major General John Gronski, Deputy Commander of US Army National Guard in Europe. Haimovitch said that plans for the base had been on the drawing board for two years, and its opening was unrelated to any specific events in the region. Several dozen American soldiers will be stationed at the base, and they will be operating American systems, not Israeli ones, he said.